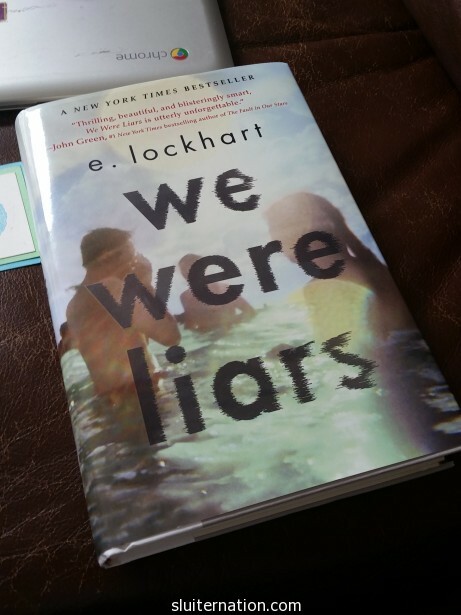 I loved “We Were Liars”. It is the book I talk about in grocery lines or suggest to people at the pool. I read it in two days and enjoyed the pace, mystery and open ending. It’s one of my favorites of 2015 for sure. I’m sure your students will love it. I liked it, but feel like since so many people had told me “you’ll never guess the twist!” that I was constantly trying to figure it out the whole time instead of just sitting back and enjoying it- and I did figure it out at some point, which ruined some of the enjoyment for me. I still liked it, but think I would have loved it had I known nothing at all about it before reading. I loved this book, too. It wasn’t one of my *most favorite* YA novels I’ve read recently, but it was a quick read, and I liked the ending! I bought this book after reading your review (yesterday), and finished it by the next day (today). I really really really liked it. I usually don’t like YA books, but this one sort of caught in my throat a little. Occasionally, I do love a quick and easy read, and this sounds perfect.